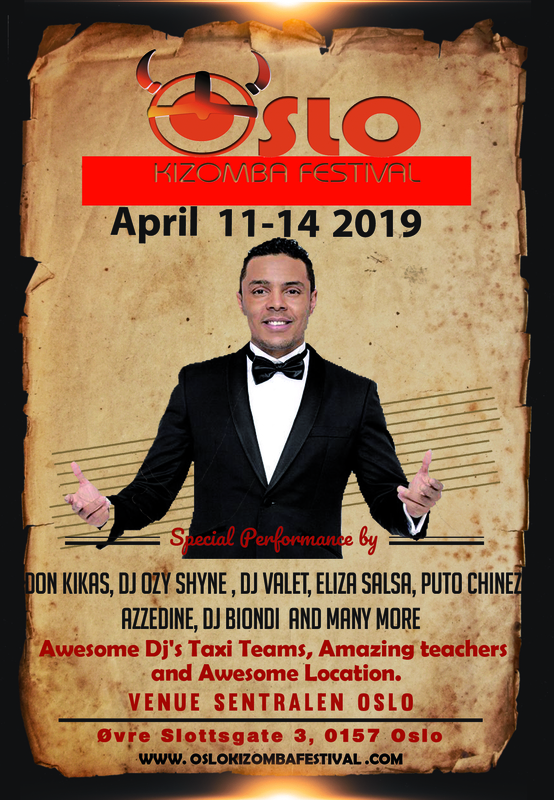 Its with great pleasure we welcome you to join us once again for the amazing Oslo Kizomba Festivals. -Norways Premier Kizomba Festival. Can fly direct to OSL- Oslo Gardermon airport . There is an NSB Train from the airport to the sentrum which is 25 mins away . ★ Live performance by a kizomba legend. ★ Two rooms of music. kizomba/semba and Urban room. Only full pass holders have access to the social room.